Any firm that is looking for a fast, relatively inexpensive and accessible way to borrow money can find such a service via an invoice finance broker. Any company that raises invoices can potentially use them as collateral for short-term loans. Here we look at some of the things firms wanting to borrow money in this way need to bear in mind. Good invoice finance brokers adapt the financial products they offer to match the needs of the individual firms turning to them for help. The best brokers work hard to build a long-term working relationship with each customer. They listen to their customers and try to provide them with exactly what they need. It is important for a firm to find a broker that will allow them to borrow money only when they need to do so. Some firms charge an annual fee, which has to be paid regardless of whether the firm actually borrows money or not. Naturally, this can work out expensive. It is important to use an invoice finance broker that is easily contactable, explains things in detail, and does so in language that is easy to understand. When borrowing money, it is particularly important to understand all of the costs involved. 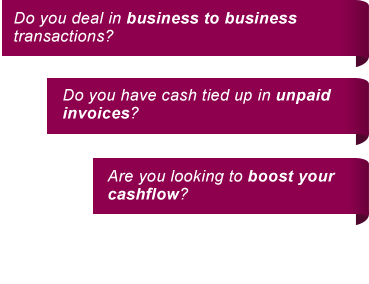 Firms need to be able to ask questions like: what happens if I miss the re-payment date? Being able to do so ensures that they fully understand the terms and conditions of the loan. It is best to avoid using a broker that is hard to contact, or does not answer questions in full. There are several ways for a firm to borrow money using their invoices as collateral. A good broker will provide several options. Most of the time, when a company borrows money via invoice financing, the firm that lends the money is responsible for collecting the cash from the customer that owes the money. However, not every firm wants its customers to know that they have borrowed money. To solve this issue, a good lender sourced through an invoice finance broker will offer its clients the chance to continue to manage their own sales ledger. In business, speed is important. No company can afford to wait for weeks while a lender makes a decision about whether they will approve a loan or not. Those discovered through brokers offer fast decisions. It is also wise to look for an invoice finance broker that adheres to the standards of the National Association of Commercial Finance Brokers. Invoice finance brokers that follow the code of conduct offer fair and transparent terms and conditions and provide a high standard of customer support. At Invoice Finance Scotland, we take a flexible approach to ensure that we can help as many companies as possible to get the financing they need to grow and prosper. If you are interested in using invoice financing or one of our other financial services, please drop us a line or give us a call.